Just a reminder that every child is different and unique . 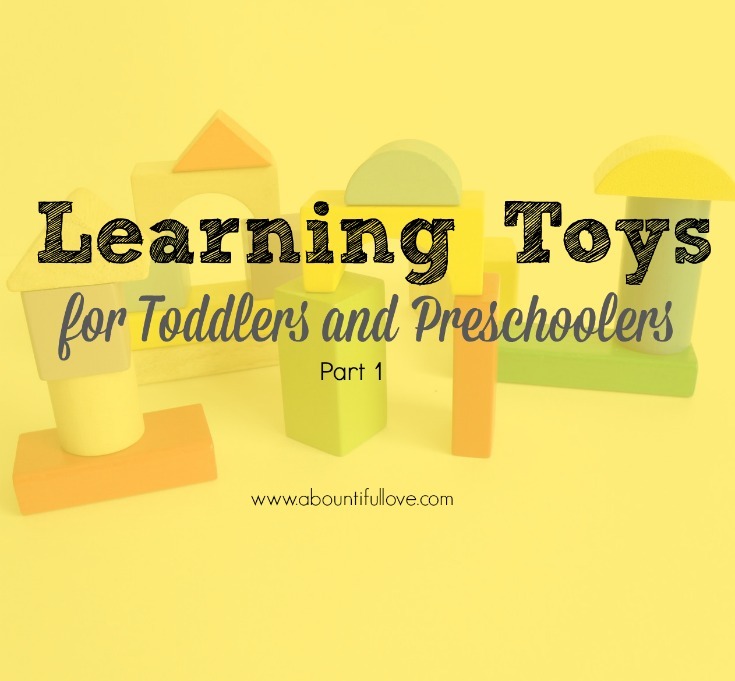 It took me some time to have the courage to write this, mainly because this post is not intended to push parents to teach their kids how to read at an early age. 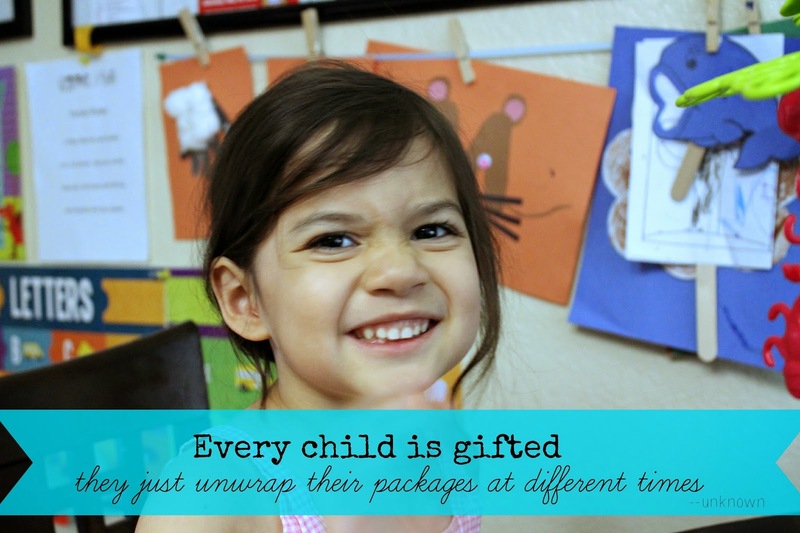 Every kid, opens their gifts in their own beautiful time. 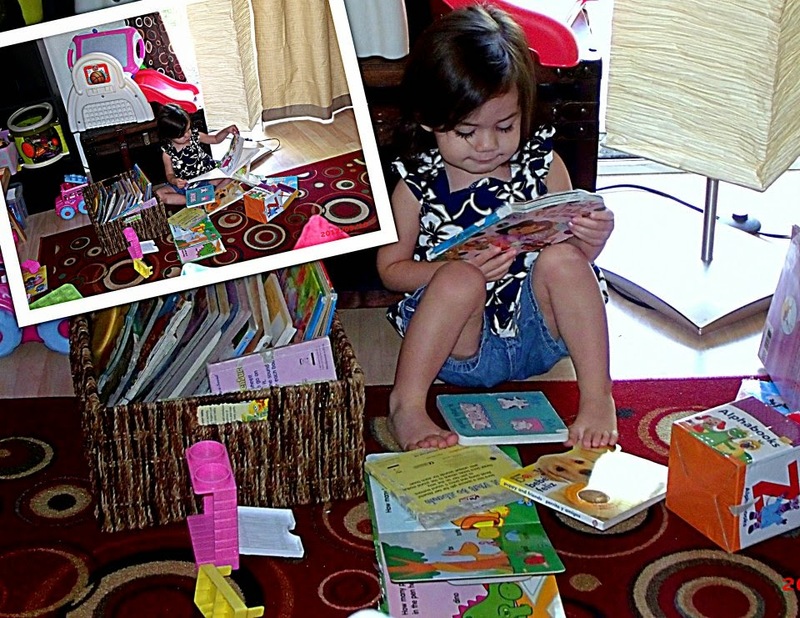 At an early age , we saw Lucy's potential and her interest in reading, we cultivated it. Use this as a guide on how to teach reading or to get them start to love reading. So this was how our Lucy learned to read at the age 3. When she was a baby, we got a lot of baby books from friends and family. We also scored some awesome deals on yard sales. Needless to say, we started a good collection of books for her. Reading to her was one of our favorite bonding times. We started her out with this set at the age of 18 months. During those times, when this momma needs to cook or do some chores..I am not beyond turning the TV on. There were a lot of times of course that she won't sit through the duration of the DVD . She would play..she would do something else but I would still leave the show on for her. When I needed to sit and relax but still wanted to spend time with her, I would do the flashcards. She was two years old in this video..
We have a paid membership at a public library in a nearby City. It is paid because we are not a resident of that City. The membership was only $30 a year, but it is well worth it. Trust me, not all libraries are created equal! This library is HUGE! Tons of books and movies too! We also take advantage of the library's bag sale. Where you get to fill the bag with books , as long as it fits for only $4-$5. 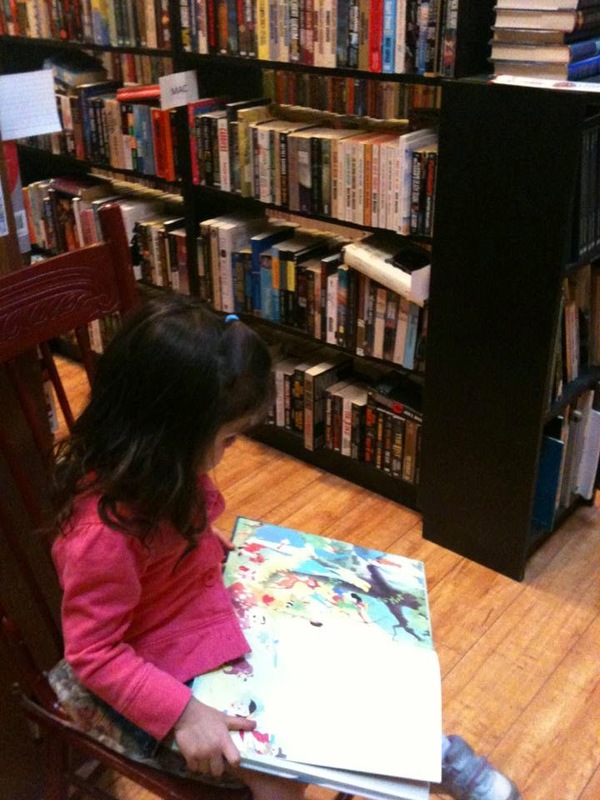 We let her choose books. We still do this now, with two girls. 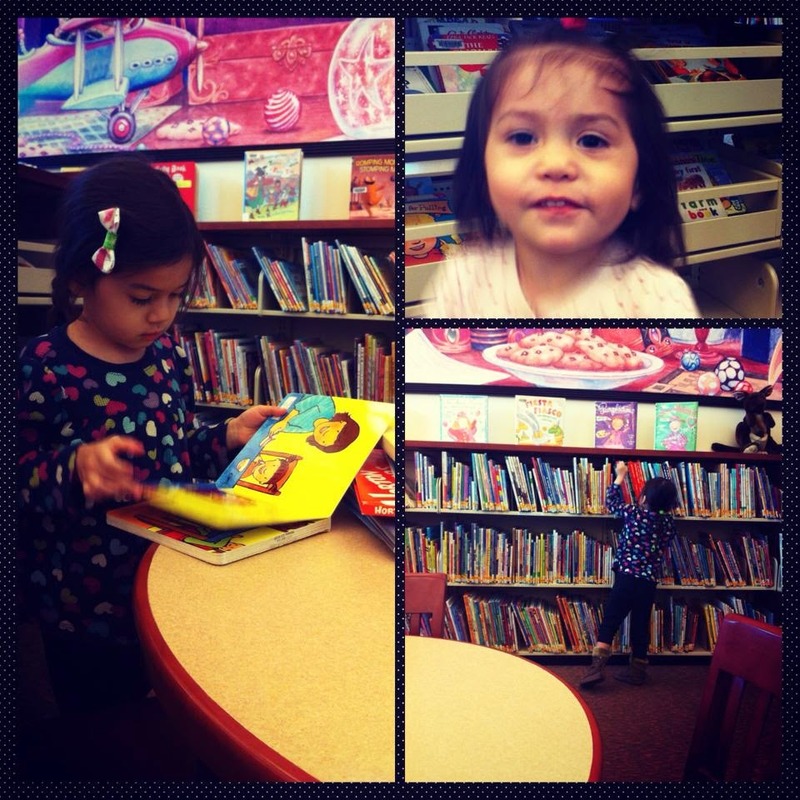 Here's Lucy @ 4 and Lily @ 2 yrs old while waiting for the storytelling time in our local library. 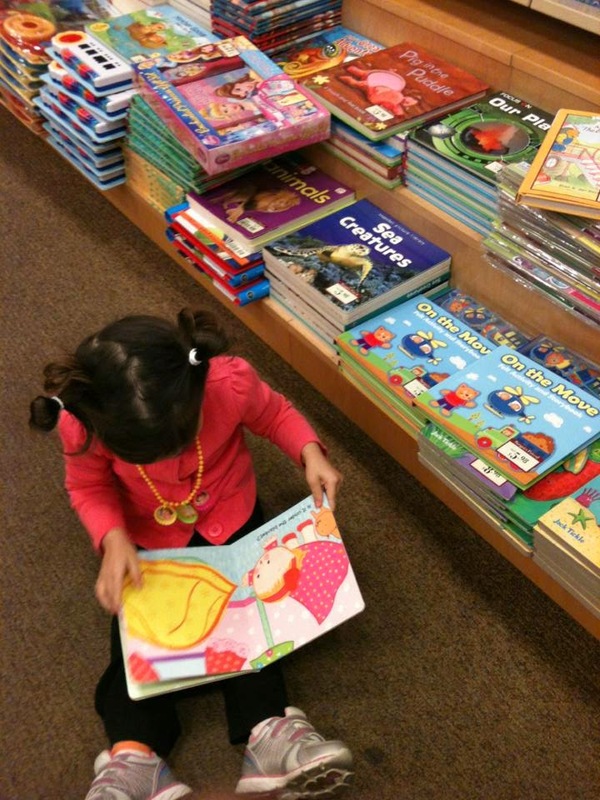 Lucy even enjoys a Barnes and Noble trip. Rob and I love to read books, she sees us read. They learn by example. We make sure that books are always within her reach. It doesn't have to be expensive or classic books. A wide variety is good. Lucy @ 2 yrs old. 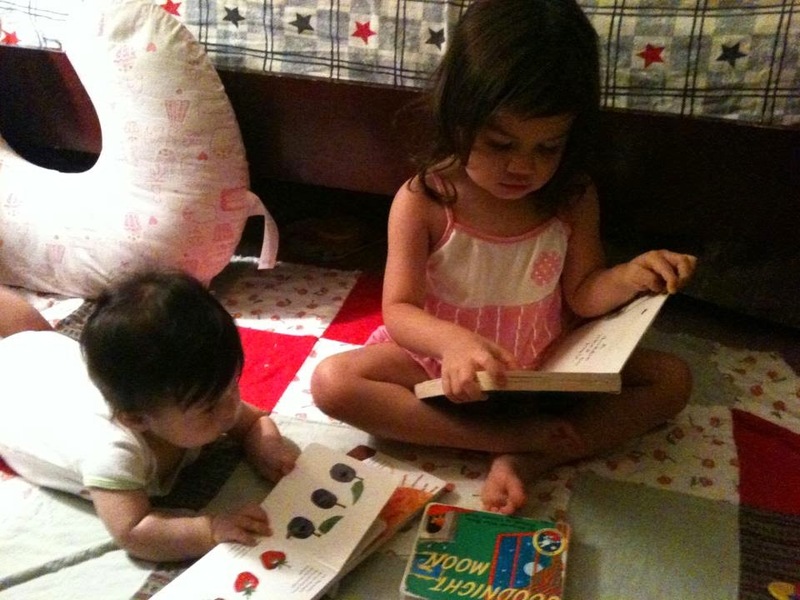 Lily (left) , our youngest still a baby but likes to look at picture books already ( how time flies!) and Lucy @ 3 yrs old . We read to her everyday. We read about 3 books minimum everyday, during the day and before we go to the bed. When we read to her , we point out words to her. We use different tones when reading, it makes her more interested in the story. In short, we don't monotonously read to her. I must tell you though that there were days and nights when we just couldn't get ourselves to read to her. We get tired..and all we just want to do is just sit or chill ..do nothing and just vegetate! But how can you say no, when a kid hand you a book right? We ad lib..because most often we had already read the book anyway..so we will use our own words to tell the story. 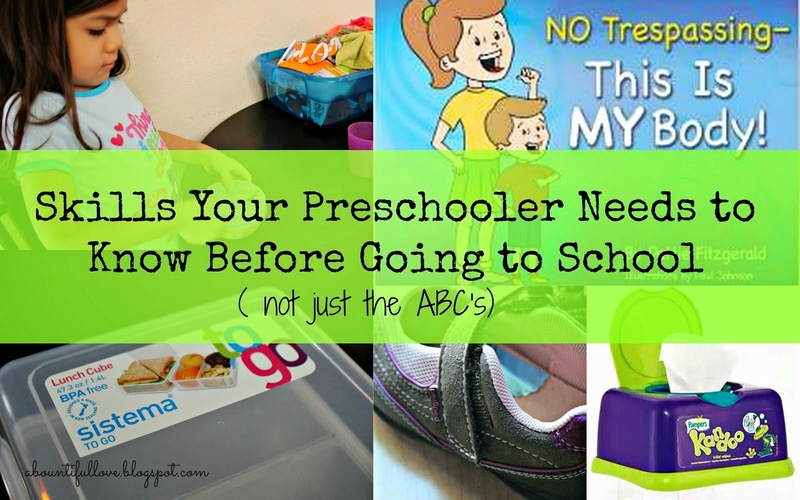 I know you might be wondering if that is helpful when it comes to teaching them how to read? We totally think so because by doing so..we still keep her interested in the book she wants us to read. Actually , if you can spend 20 minutes a day of leisurely reading with your kid, that is really helpful to enhance their reading comprehension, vocabulary and general knowledge to name a few. 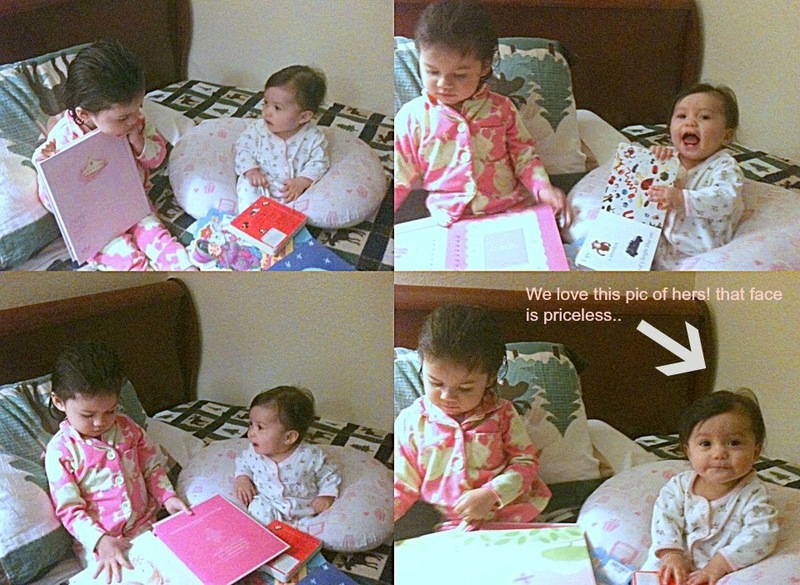 Lucy (left) , reading one of those recordable books from her Grandma, her Grandma lives far but still finds a way to read to her precious grand kids. Lily (right) , not even a year old.such a silly one. We love her cute faces in this photo. We built a good mini library for her. Like what I have mentioned earlier, we took advantage of yard sales, book sales and coupons to buy books. When time permits, we try to keep it organize and categorize..
We make sure that we do have faith base books too! Right now, she also enjoys audio CD books. She loves that she can follow along with the book while listening to a story. This can be pricey but take advantage of book fairs in their school or in your city. Here's little Lily @ 2 yrs old, enjoying her beginners Bible. 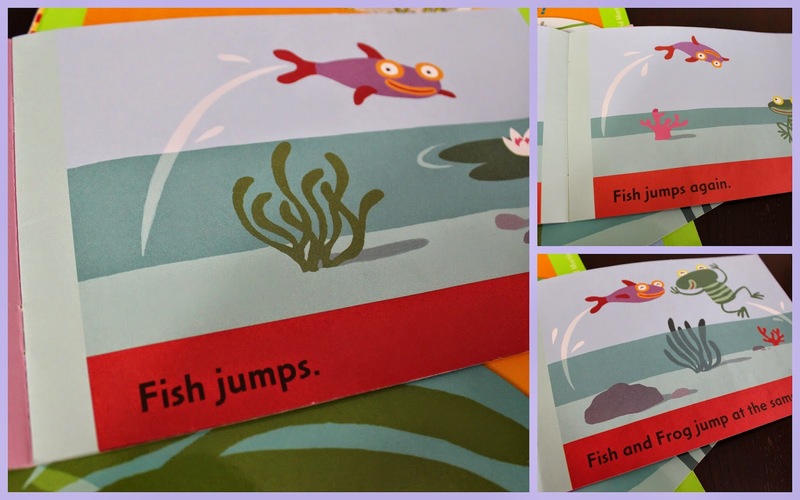 When your child is starting to read, there will be times where they will get stuck on a word , (when using picture books or step 1 books) You may encourage thinking by saying " Look at the picture..what do you think is it about " . If they still get stuck on the word , supply the right word. Try not to overemphasize the word that they got wrong. Praising does wonders! When they get the word right and for trying too. After all, their confidence is built at home. 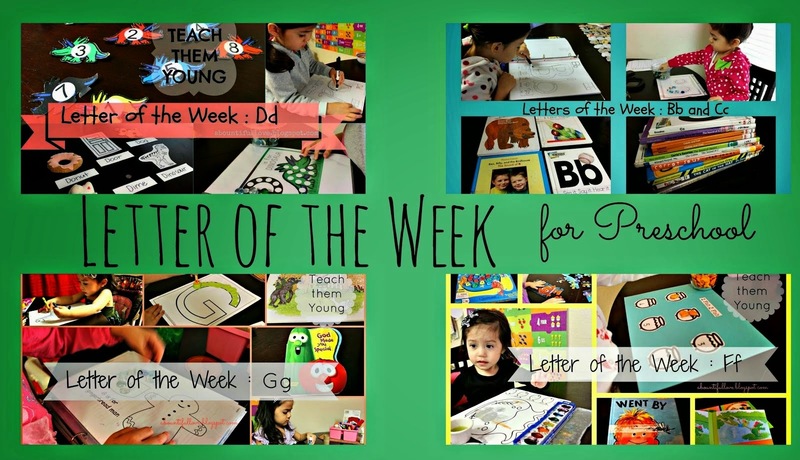 It is also beneficial if you will provide the right books with your emergent reader..
See some simple books below, I love how appealing the pictures are, very simple that the kids can guess what the words are just by looking at the pictures. Words are short and patterned that they can read familiar words. I remember buying this mini books at our library book sale, It wasn't a complete set but we bought all the mini books I can find. 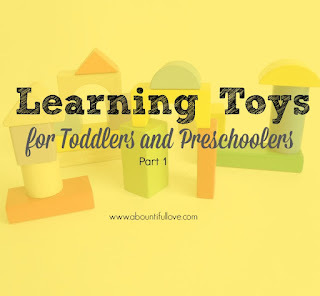 I love it for kids that are starting to read or learning how to read. Lastly, give your kids lots of chances to read. 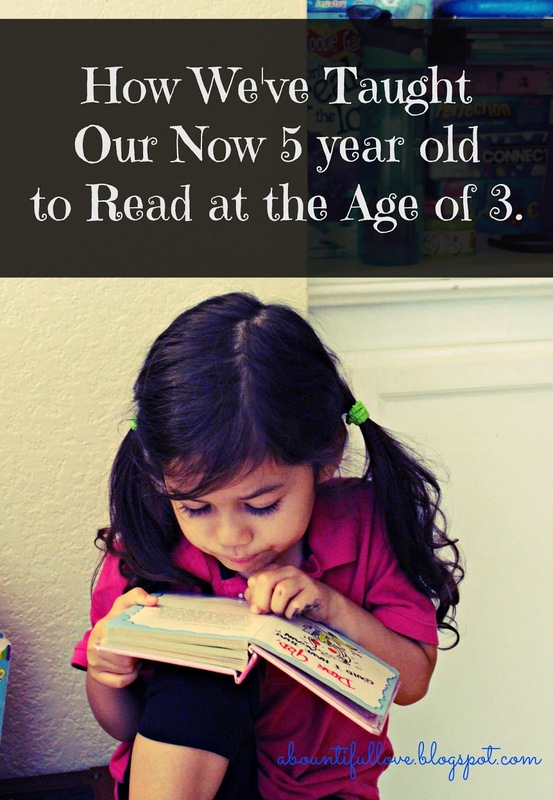 There is a short window, we know how fast they grow , read to them, spend time with them. Don't forget to subscribe to our free weekly newsletter , Never miss budget friendly recipes, frugal tips and learning tools for young ones! ( Your information is safe and will never shared or sold). 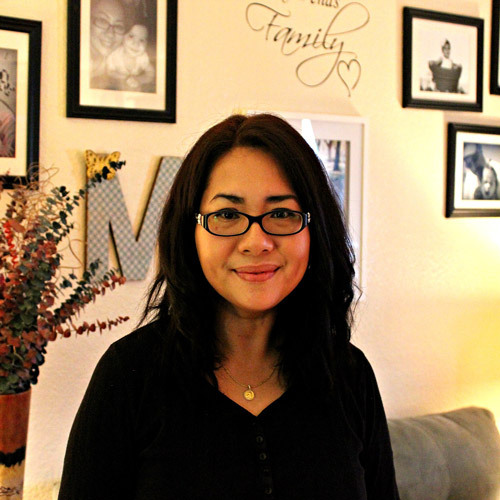 Hi Angela, there are a lot of reading DVD sets out there, some are cheaper some are really pricey. As with our own personal experience, I will recommend it but it is not necessity. You are doing great with encouraging her.. also I must add that you can also check out some deals on reading materials in consignment stores. Thank you so much for stopping by! 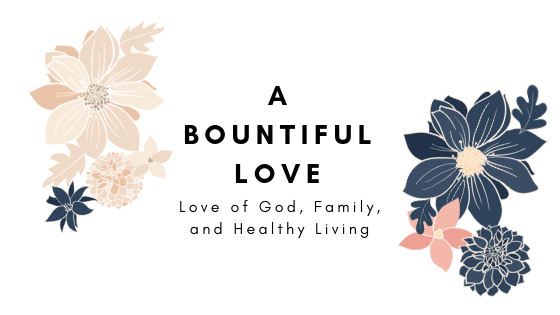 Thanks for sharing at the Shine Blog Hop! Hi Tiffany, thank you for stopping by! 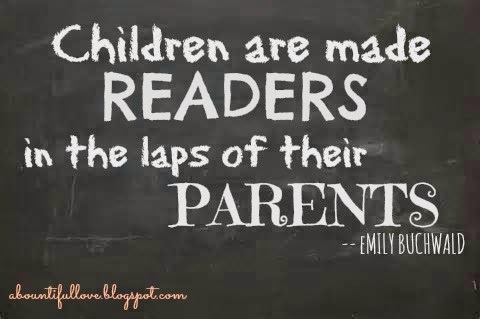 My pleasure..
Reading is a habit and I've noticed kids tend to follow what the parents do. My only wish, I was able to stay as organised as you. Hi Jasbir, thank you for stopping by! Right on, definitely ..reading is a habit that is form at a young age with the guidance of their parents, given the right encouragement and tools. In honesty , it is not always that organize. We try too, but life gets busy too. Hi Carrie, thank you for stopping by. I will definitely join the party again. I just love that Emily Buchwald quote! Great post! 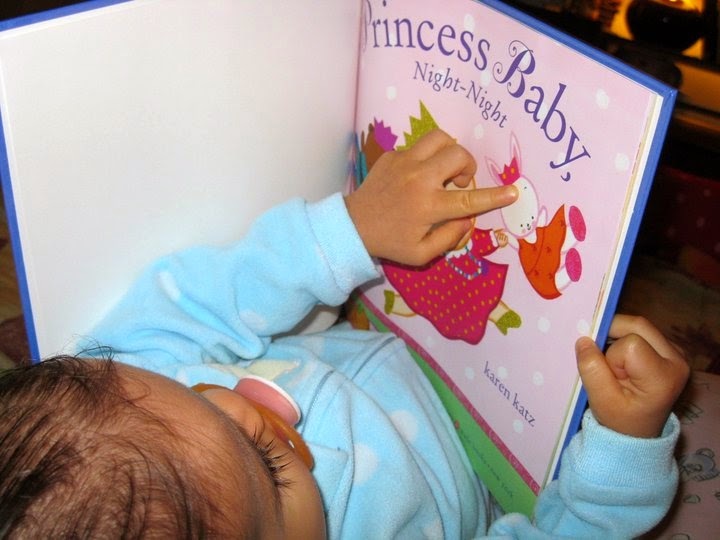 Reading to our children is so important from the start! I thought my daughter had a lot of books at 3.5, but your daughter just may have her beat by a few. :) I just need to be better at organizing them. Great tips. I love the home library. It is so important to have books easily available in your children's rooms. These tips are easy to follow and will work. 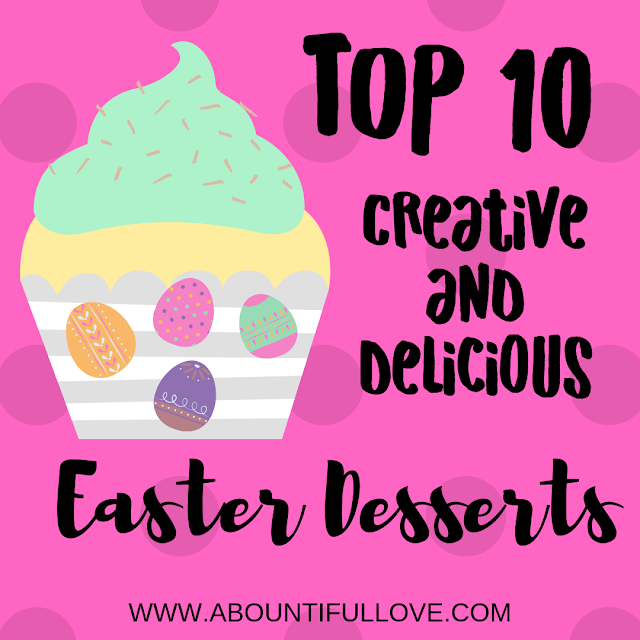 Thanks for linking up with Literacy Musing Mondays. Can't wait to read more of your posts. These are wonderful steps - and the best part is, even though you started with your daughter as a baby - parents can start no matter what age their kids are. 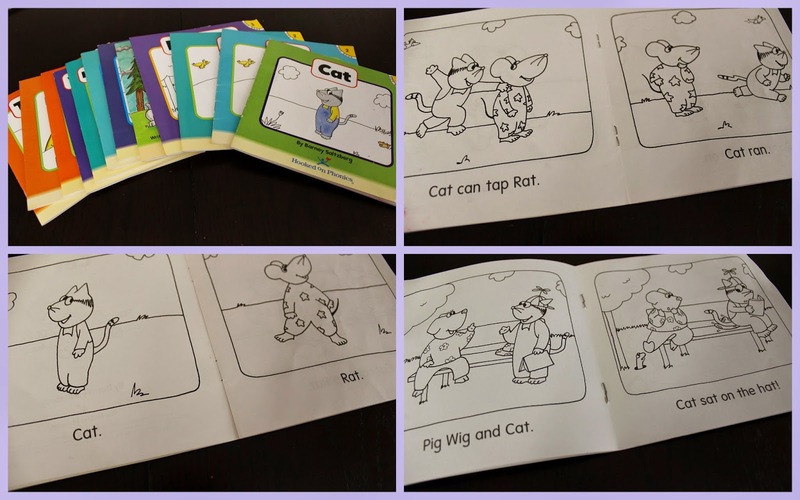 There are great books to help all ages learn to read slowly, and gain confidence. Thanks for sharing your journey, so great! Thank you Marissa for stopping by!